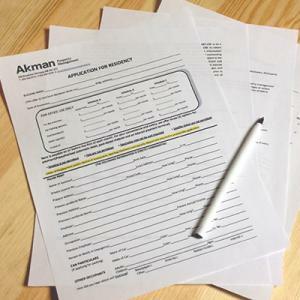 Akman Management stresses the importance of working closely with local developers to create transparency and reliable relationships. Adding new rental apartments through new construction is a major aspect of our business and we’re committed to consistently developing new projects for the Winnipeg market. As always, we maintain our approach to producing quality developments with prospective renters/owners in mind. Fostering local development is an initiative we’re proud of and one that should only grow as our city does. We also feature our existing apartments’ current rent promotions with weekly updates, so check back frequently. 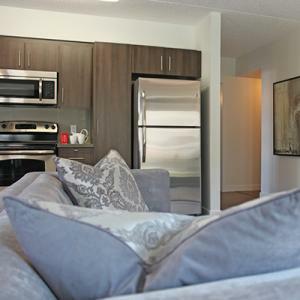 The Lady Joyce Apartments Homes offers the best in elegant suites conveniently situated in Winnipeg's Garden City neighbourhood with shopping and restaurants all within walking distance. Lady Joyce Apartments is a four story building offering one and two bedroom apartments with secure entrances and exits and modern fire safety systems. The grounds are beautifully landscaped and accommodate powered surface parking. Enjoy condo living! This spacious unit is situated on the prestigious Wellington Crescent, minutes from downtown, the Corydon strip, Osborne Village and more! ***MOVE IN BONUS - ONE HALF MONTH RENT FREE! *** Let us welcome you into the Westminster Flats community! Newly built in 2016, Westminster Flats is located in Wolseley, on the corner of Maryland and Westminster. Just steps away from shopping, restaurants, health services and transit. Amenities include secure building, individual climate controls, ample in-suite storage, quartz countertops, luxury vinyl plank flooring, stainless steel fridge, stove, dishwasher, and microwave, and in-suite washer and dryer. We offer open design floor plans, contemporary kitchen and bathroom cabinets, and European-style lighting and hardware. Discover Winnipeg’s new hidden gem in an up-and-coming neighbourhood. Steps away from your door, you’ll uncover a world of shopping, schools, and amenities. It’s just a short walk to the grocery store, bakery, medical centers, Shoppers Drug Mart, and BMO as well as numerous convenience stores, restaurants, and coffee shops. A playground and community center at Boyd Park are just blocks away. 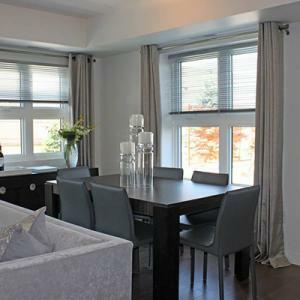 Three bedroom, two full bathroom furnished suite (1,840 square foot) available in North St. Boniface. The premium condo is situated minutes from downtown - Walk to Goldeyes Games, the Forks and more! Constructed in 2011, this building was created for your lifestyle with a roof top patio, party room, gym, and located across the street from the river and a variety of walking trails. It features penthouse-style layouts with open floor plans, gourmet kitchens, spacious private balconies, and a breathtaking view of downtown and beyond! Are you looking for the best Winnipeg has to offer in ultimate refined urban living? 800 Dovercourt offers elegant suites conveniently situated in Winnipeg's prestigious Linden Ridge neighbourhood adjacent to Linden Woods with trees, lakes, and paved trails within walking distance.